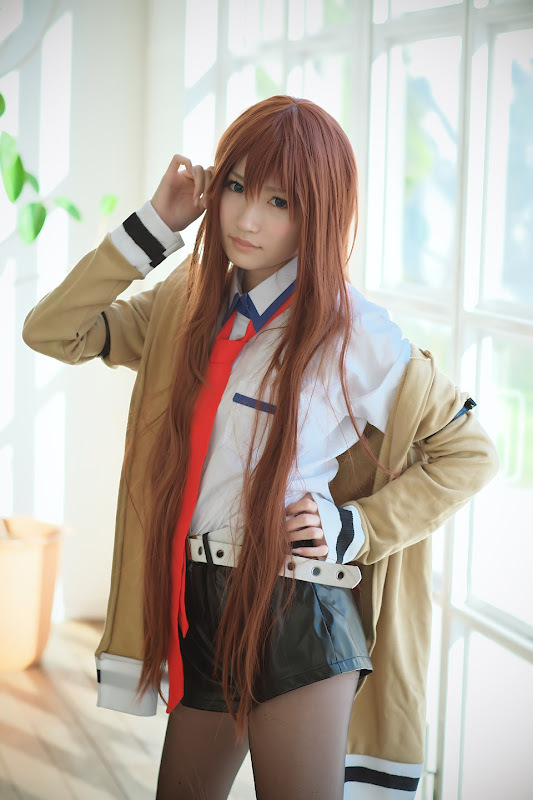 Hiokichi is cosplaying as Kurisu Makise from Steins;Gate. Steins;Gate is a Japanese visual novel developed by 5pb. and Nitroplus, and was released on October 15, 2009 for the Xbox 360. This is the two companies' second time collaborating together after Chaos;Head. A port to the Windows operating system on the PC was released on August 26, 2010 and a port for Sony's PlayStation Portable handheld game console was released on June 23, 2011. The game is described by the development team as a "hypothetical science ADV". The gameplay in Steins;Gate follows a linear plot line which offers pre-determined scenarios with courses of interaction.